Today is Hong Kong’s Dragon Boat Festival. This is the oldest international festival of its kind, where teams from all over the world (and a huge number from right here) descend on the waterfront village of Stanley, snugly set on the Island's southern coastline. Brightly coloured flags flirt in the sea-breeze, as the old teak boats battle it out for the championship, with teams of 20 paddlers, a drummer and a cox. This is a sport with its history in the ancient rituals of the Duanwu celebrations, spanning over 2000 years throughout southern China. Traditionally made in the Pearl River Delta, the old boats are decorated with the tops and tails of fierce dragons, glistening gold in the sunshine. An emblem for strength, reverence, community discipline and virility, dragon boating and her emboldened war cries have become a much-loved tradition in Hong Kong, fuelling the competitive pulse of both Gweilo and Chinese. Whilst today's finals in Stanley form the grand extravaganza of the weekend (with junks and spectators circling the lanes), races have been taking place throughout the SAR over the last week and weekend. On Saturday, as I cycled along Cheung Chau’s harbour, three local crews were drawing a crowd, as they paced across the water - navigating fishing trawlers, a ferry and the occasional bewildered seagull. With the captivation of old and young, the yelps, the cheers and the enormous grins, the sun beamed down over Lantau Peak. I turned 30 last week. Last Thursday, 13 of us headed over to Bali to welcome in the next decade, to swim, to surf and to gaze out to sea. We're still here. 5 people are currently sprawled around a rather indecent infinity pool. 3 others are eating Mahi-Mahi burgers, beachside at Swamis, Bingin's darling. 2 of the team are sweating it out in the gym. Ally's fallen asleep. Alex is planning our evening BBQ, and I'm plugged into some Emelie Sandé looking out over the white horses crashing in the middle distance. I'm also eating handfuls of Balinese peanuts. 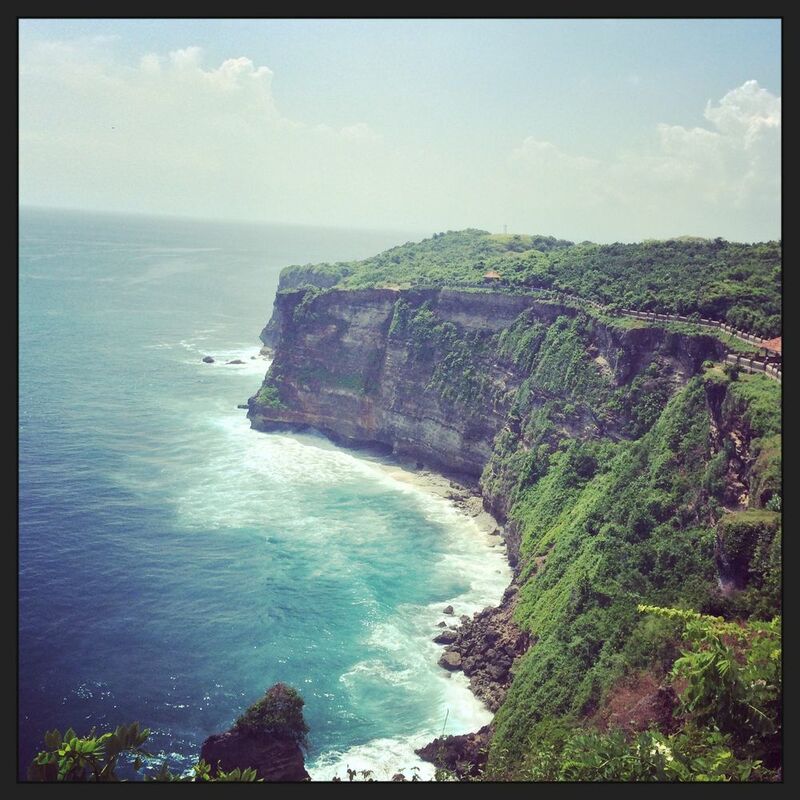 Our villa is located on Bali's Bukit Peninsula, the area famed for its dramatic cliffs, waves and scores of surfers. Indonesia has long been my true South East Asian favourite - for her breadth, her people and her staggering natural beauty. I've spent a lot of time on 11 of her islands. Happily a further 18,296 remain to explore. Hong Kong has her moments. Last night, at 28 degrees in the warm, last gasps of twilight, we looked out over Deep Water Bay, Middle Island and the outer Lamma Channel. With sand between our toes and a cheap bottle of Shiraz propped up against my battered old beach bag, Monday evening rolled on in. About 8 minutes away, the city and her surrounds continued to splutter with life. We waded out to sea. Last night we biked back along the marina, watching the pelicans dive in the dwindling evening light. Full from our (less arduous) feast of steaming mussels, local halibut and giant shrimp at this rather special dockside grill, we coasted home with great yelps and whistles and whoops. I'm about 10,000 ft above sea-level right now, and the wind is howling outside of the window. At about 11,000 ft, earlier this morning, I was looking out over Yosemite National Park, ski-gloves in hand, scouring the piste for the best coffee locale. Cirrus clouds spiralled overhead. Lizzie, my younger sister, was enjoying the drama of altitude. This is Mammoth, County Mono, and California's highest ski resort. We arrived on Saturday morning in a rickety old plane from LAX - for the late April snow, the sunshine and the skies. I miss big skies. Hong Kong's haze is happily forgotten. On 8 April 1904, the Entente Cordiale was signed between the imperial powers of England and France. Bringing to the close centuries of rivalries between the two nations, solidarity in the face of pressing adversity formed an alliance which would shape the 20th Century. A gate-post to the centennial celebrations of WW1 and D-Day, some 110 years on - today's subtle significance trips on by. We arrived in Moscow on a mid-March morning, some 4 days prior to the Crimean Parliament's announcements (on referendums, accessions and allegiance). Our cabbie from the airport was rather despondent (on Ukraine, the Olympics, the seething city traffic). The Kremlin was deserted. With no ripples of the political coup dancing on the world's stage, the skies were brilliantly blue. Muscovites drank champagne in the Red Square and carved figure of eights on the ice rink installed in the shadow of St Basil's. Armed guards created nonsensical barricades with old iron gates. Fur hats posed scantily against the sky-scape. I fell rather in love with Russia; it's eccentricities, sheer scale and vivid historical presence. This is my Hong Kong terrace, and I'm rather partial to it, my much maligned pot-plant and my, now misplaced, Christmas Tree. I live on Electric Street, opposite Sun Street, in the shadow of Moon Street and just off Star. It's a whimsical, befuddled and peaceful part of town, away from the brash familiarity of SoHo and Central, and sheltered from the international infamy of Wanchai. I'm underneath Bowen Road, the running trail which spans the city-scape, and adjacent to the wet markets with their fish and terrapins and ducks. Hong Kong is a city of inconsistencies, complications and simplicity. I love it here.